The Australian Defence Force (ADF) is one of the most well-trained and equipped militaries in the Indo-Pacific region. A steadfast ally of the United States, Australia has in recent years announced plans to transform the ADF into a fully networked, integrated fighting force. Indeed, this latest DWP, commissioned in April 2014 and released in February 2016 after several delays, is the country’s third in seven years. This partially reflects Australia’s rapidly evolving strategic outlook in what it calls “the environment within which Australia pursues its objectives of security and prosperity”, in which it expects to “see new complexities and challenges over the next 20 years”, the DWP notes. Chief among these complexities and challenges is the rise of the People’s Republic of China (PRC) and its military modernization programme, which has led to it seeking a greater influence in the region as well as its assertiveness in territorial disputes with its regional neighbours, particularly in the East and South China Sea. Australia’s DWP highlights this as an example of the challenges to the stability of the rules-based order built by regional states over the past 70 years. The DWP highlights this as one of the key drivers that will shape the development of Australia’s security environment over the next decades. Other key drivers include the threat of political violence, including that from Islamists returning from active theatres such as Syria and Iraq, to Australia and other regional countries which could result in worsening the spread of extremism and violence while the issue of state fragility within Australia’s immediate neighbourhood remains a perennial security concern. 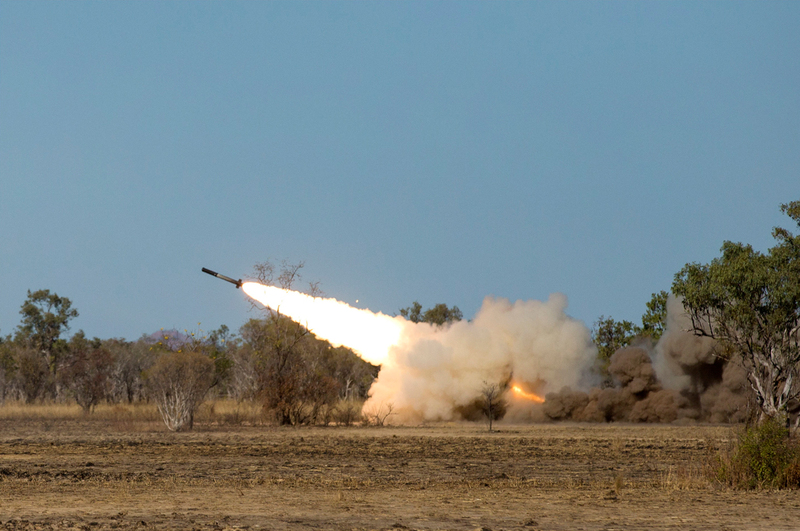 With these objectives in mind, the DWP aims to provide an insight into what will be significant long-term investment in the ADF’s materiel and research and development. For the first time, the DWP is accompanied by an Integrated Investment Programme (IIP) that will define the level of funding required to support the ADF’s programme over the next decade. The IIP forecasts that Australia will raise its defence spending significantly over this period, and will hit the two percent of Gross Domestic Product pledge earlier than had been promised by the government. The Defence budget will rise from $24.5 billion in 2016-2017 to $44.6 billion in 2025-2026, which represents an increase of $22.6 billion over earlier estimates for this ten-year period. All three services of the ADF will receive a boost from the increased expenditure with several modernization programmes in the pipeline, but it is the maritime domain which will receive the biggest boost, with several major shipbuilding initiatives in the offing to replace almost all of the current RAN fleet. 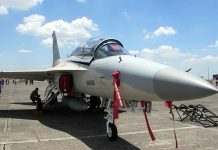 Reconnaissance capabilities will also be a big winner, which is not a surprise given the efforts to transform the ADF into a joint, networked force. There are currently two major ongoing vehicle replacement programme for the Australian Army: Project Land 400 to deliver a Combat Reconnaissance Vehicle (CRV), an Infantry Fighting Vehicle (IFV) and a Manoeuvre Support Vehicle (MSV) to replace the General Dynamics ASLAV-25 eight-wheel drive light armoured vehicle, and BAE Systems M-113AS4 Armoured Personnel Carrier (APC). Project Land 400 is joined by Project Land 121 to deliver a variety of high-capability field vehicles, modules and trailers to provide battlefield mobility and logistics support. 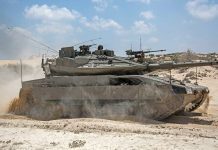 Project Land 400’s CRV replacement programme comes under Phase 2 of the initiative, and priority is being given to this due to obsolescence factors confronting the current ASLAV-25 fleet. The 225 CRVs that will be acquired will be split in seven different sub-variants, with the majority being utilised for reconnaissance and counter-reconnaissance, but will also include Command and Control (C2), surveillance, ambulance and recovery vehicles. 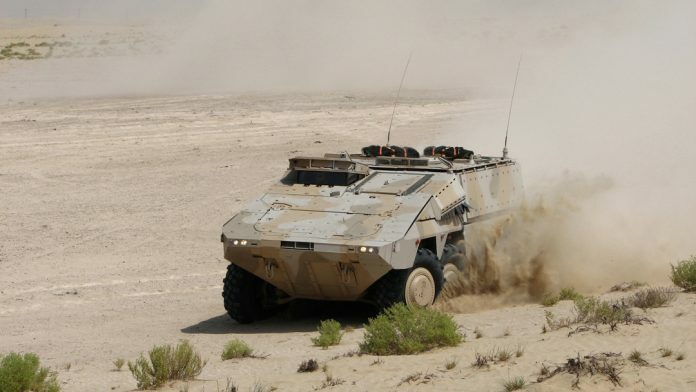 The programme is looking at in-production, Military Off-The-Shelf (MOTS) designs for both the vehicle and turret, and four industry teams have submitted tenders which are currently being evaluated. These tenders include Rheinmetall’s Boxer, Patria’s AMV35, Singapore Technologies’ Terrex and General Dynamics Land Systems’ LAV 6.0. The competing proposals will be fitted with turrets mounting either a 30mm or 35mm cannon, and the eventual design selected will be manufactured and sustained in Australia. Two, or at a maximum three, of these bidders were due to be down-selected to progress onto Risk Mitigation Activities (RMA) in March; however the Department of Defence announced that the evaluation period has been extended to ensure the RMA’s Australian Industry Capability Plan aligns with the revised Defence Industry Policy, which had been released together with the DWP. 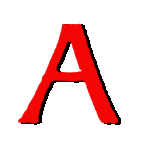 AMR understands that the duration of the extension is eight weeks, putting the new target date at the end of May. The RMA will see a small number vehicles being put through a series of intensive tests, both destructive and non-destructive, to evaluate the mobility, survivability and lethality of the RMA participants. This is expected to last a year, following which a winning bid would be put through to the government for Second Pass Approval, with entry into service starting from 2021. Australia’s M-113AS4 APCs will be replaced by a tracked IFV under Phase 3 of Project Land 400. The project’s Request for Information (RFI) calls for 450 IFVs and 17 MSVs to provide a Mounted Close Combat Capability, and will be expected to provide protection and mobility to match that of Australia’s General Dynamics Land Systems’ M1A1 Abrams Main Battle Tank while carrying an eight-person infantry section. The 450 vehicles will be split into 312 IFVs, 26 C2, 16 Joint Fire, eleven engineer-reconnaissance, 18 repair, 39 combat engineer, plus 28 (evenly split) ambulance and recovery vehicles. 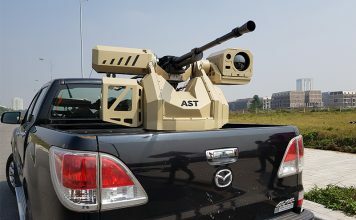 Potential suppliers are also expected to provide the cost of weapons and options that are not already part of specific variant quotes such as inhabited and remotely-operated turrets, turrets equipped with anti-tank guided missiles, defensive suites or add-on armour packages. The main drivers for programme are capability, schedule and cost, with the selected vehicle required to attain Initial Operating Capability in 2025. 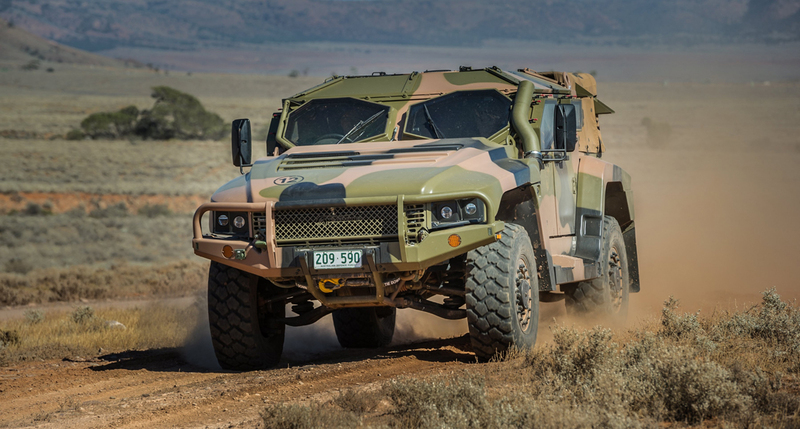 After a long drawn out process, Australia finally signed a $986 million contract in October 2015 to acquire 1100 Thales Hawkei protected vehicles and more than 1000 companion trailers from Thales’ Australia subsidiary under Phase 4 of Project Land 121. The Hawkei will be used for command, liaison, utility and reconnaissance by the Australian Army, and will replace around one third of the ADF’s exisiting Land Rover fleet. The vehicle had originally been selected in December 2011; however, an exhaustive RMA programme together with political uncertainty have conspired to delay approval. Thales expects deliveries to start in the middle of 2017. 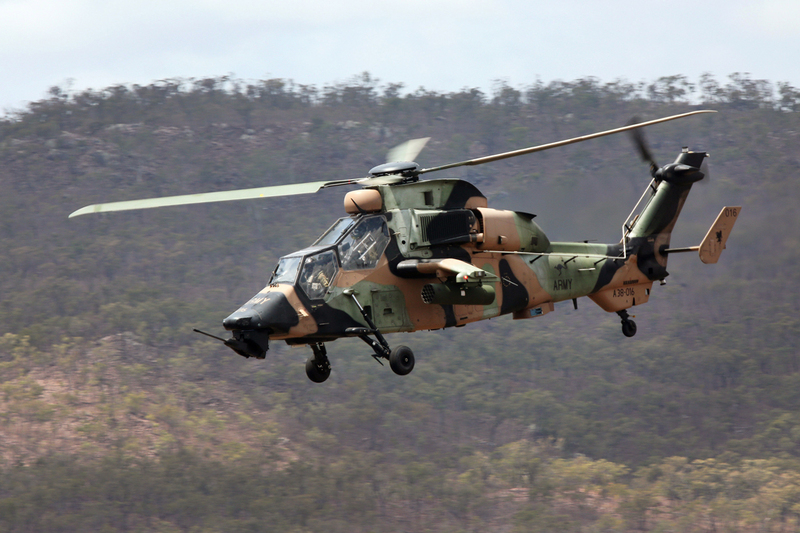 Australian Army Aviation will also see a number of changes. The IIP has flagged that the 22 Airbus Helicopters EC-665ARH Tiger armed reconnaissance helicopters that were delivered between 2004 and 2011 will be replaced in the mid-2020s with a new armed helicopter reconnaissance capability, which could include conventional or unmanned systems, or a combination of both. The EC-665ARH has had an unhappy time in Australian Army Aviation, plagued by serviceability and sustainment issues, as well as difficulty in networking the type into wider ADF network with its Eurogrid datalink which can exchange tactical information with other users on the ground and in the air. Bell Helicopters has already said publicly that it has offered the AH-1Z Viper gunship to Australia as a replacement, noting that it is a suitable marinised platform to operate from Australia’s two ‘Canberra’ class amphibious assault ships, which was a capability that had been planned for the EC-665ARHs. The DWP also stated that Australia’s seven (soon to be ten) Boeing CH-47F Chinook heavy-lift helicopters will eventually receive upgrades to improve their ability to conduct aero-medical evacuation. Australia will, in the long term, seek a new speedier and longer-range platform to perform aero-medical and Combat Search and Rescue. It is also looking at a light helicopter that can be transported by the Royal Australian Air Force’s Boeing C-17A Globemaster III strategic airlifters, to insert, extract and provide fire support for Special Forces operations, with an expected introduction date in the latter half of the 2020s. Australia will replace every class of ship in the RAN’s inventory over the next decade and a-half. The biggest programme for the navy is undoubtedly Project Sea 1000 to replace the RAN’s six ‘Collins’ class submarines with twelve “regionally superior submarines with a high degree of interoperability with the United States,” as the DWP details. The $37 billion programme sees offerings from France, Germany and Japan pitted against each other to build a class of long-range, conventional submarines (SSKs). Japan’s Mitsubishi-Kawasaki consortium is offering an evolved ‘Soryu’ class design which is being seen in some quarters as the favourite, while DCNS has proposed an SSK version of its ‘Barracuda’ class nuclear-powered attack submarine and Germany’s ThyssenKrupp Marine Systems has put forward a larger version of the ‘Type 214’ class SSK for the programme. 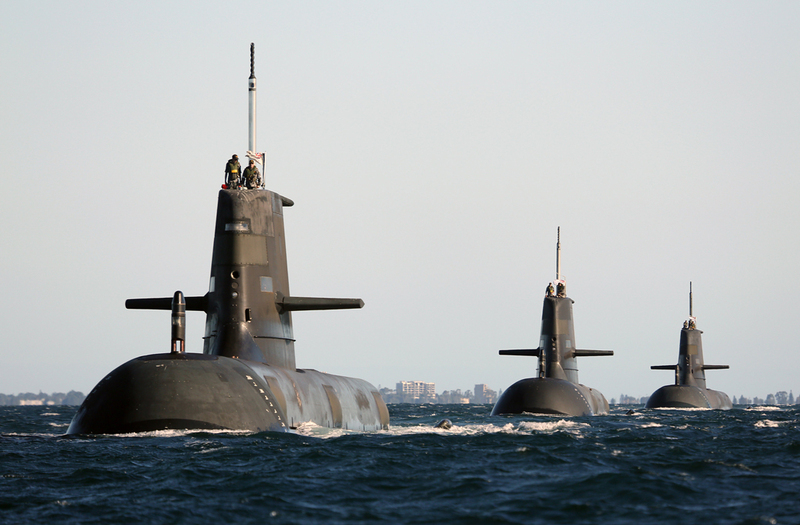 Australia is expected to narrow down to two submarine competitors for the Competitive Evaluation Process (CEP) in the first half of 2016, prior to a final selection. It is as-yet unclear if the ships will be built entirely in Australia, or if a hybrid approach of building some of the submarines in the parent shipyard will be undertaken. The first new submarine is expected to enter service in 2030 and the continuous build programme will see construction of the class continue until the late 2040s at the earliest. After a troubled design and construction process, three ‘Hobart’ class destroyers are on track to be delivered between 2017 and 2020. 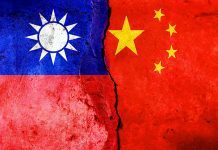 These issues have caused programme costs to exceed the budget to the tune of $911 million and have slipped in schedule by as much as three years. The ships are based on a Navantia’s F100 frigate hull modified to Australian requirements, which includes the addition of the Lockheed Martin Aegis Combat Management System (CMS), the company’s Mk.41 Vertical Launch System which will house for Raytheon RIM-66 Standard Missile-2 surface-to-air missile family weapons. 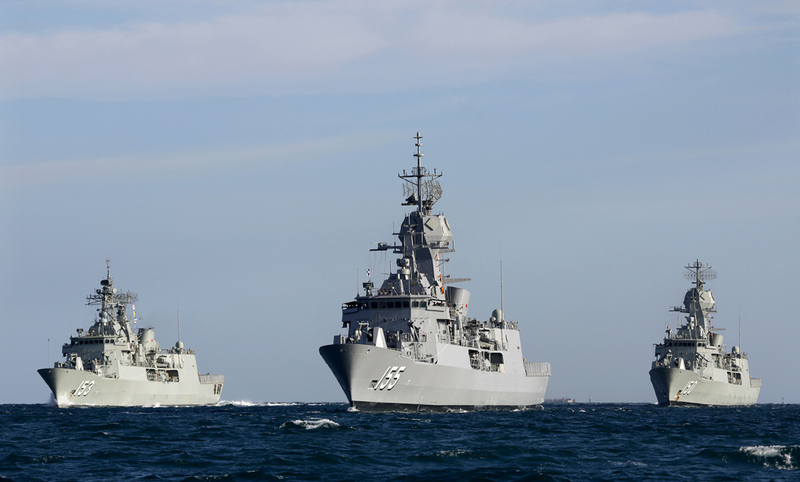 The ships are currently being built in South Australia by the AWD Alliance which comprises the Australian Department of Defence’s Capability Acquisition and Sustainment Group as owner-participant, shipbuilder ASC and Raytheon’s Australia subsidiary. In addition to the submarines and destroyers, there are two upcoming major naval shipbuilding projects: Project Sea 5000 for nine new frigates and Project Sea 1180 which will deliver twelve Offshore Patrol Vessels (OPVs) to the RAN. Both programmes were brought forward in August 2015 by former Prime Minister Tony Abbott after of a looming shipbuilding ‘valley of death’ of job losses following the completion of the two ‘Canberra’ class vessels and the ‘Hobart’ class programme if no naval shipbuilding contracts follow. Construction of the new frigate to replace the RAN’s existing ‘Anzac’ class ships will begin around 2020, three years earlier than previously planned. The ships will be based on an in-production MOTS design, and will be “designed and equipped with a strong emphasis on submarine detection and response options and capable of independent and task group operations,” as detailed in Australia’s 2012 Defence Capability Guide, and will be equipped with a sonar suite, land attack missiles and have hangar space for two medium-sized helicopters. While the sonar and missiles to be acquired has yet to be decided, the naval support helicopter will be the Sikorsky MH-60R. It is expected that the ships will also fitted with an improved version of the Australian-designed CEA Technologies CEAFAR naval surveillance radar and CEAMOUNT X-band multi-channel fire-control radar, which have been a great success on the ‘Anzac’ class anti-ship missile defence upgrade programme (see below). A CEP to select the frigate is currently underway, with a Defence of Department spokesperson telling AMR that the department has, “engaged the RAND Corporation for the market assessment of the future frigates” with a view to helping “inform (the department’s) analysis and recommendations to government,” regarding the acquisition. It is expected that the F100 hull form, which forms the basis of the destroyer, is under consideration to be utilised for the frigate, while another possible contender is the Fincantieri’s design used for the Franco-Italian FREMM (Frégate Européenne Multi-Mission/Fregata Europea Multi-Missione) European Multi-Mission Frigate design. First Pass consideration is now scheduled for later this year, which will narrow the field of designs for further development as part of the CEP. Sources tell AMR that a decision on the design could be expected by 2018. Meanwhile, construction of the twelve OPVs is planned to start in 2018. Project Sea 1180 was meant to introduce a class of 20 Offshore Combatant Vessels (OCV) to replace 26 vessels from four separate ship classes performing patrol duties, mine-hunting and oceanographic survey. However, this was scaled back to a requirement for an OPV with seakeeping to operate in Australia’s extensive Exclusive Economic Zone (EEZ) and Search and Rescue Region (SRR) with the exception of the Southern Ocean. The new OPV will also be a MOTS acquisition, with a CEP currently taking place to select about three designs for RMA later in 2016. The construction of all twelve vessels is expected to be completed by 2030. To support these vessels, Australia has selected Navantia to supply two Auxiliary Oiler and Replenishment (AOR) vessels to replace the RAN’s two ageing supply ships, HMAS Success and the logistics support ship HMAS Sirius in the early 2020s. Navantia, which offered a design inspired by the Spanish Navy’s SPS Cantabria, was selected ahead of Daewoo’s proposed design based upon its ‘Aegir’ class AOR ship. 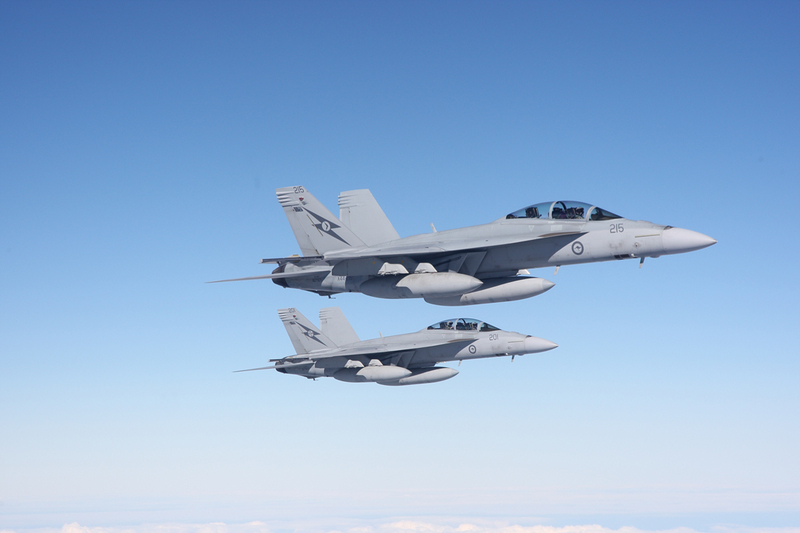 Compared to the other two services, the recapitalization effort for the Royal Australian Air Force (RAAF) is at a relatively advanced stage. It is on track to eventually acquiring 72 Lockheed-Martin F-35A Lightning-II fifth-generation fighters and twelve Boeing EA-18G Growler Electronic Attack Aircraft, while the service is taking delivery of ten Finmeccanica C-27J Spartan turboprop airlifters. The RAAF’s main transformation will occur behind the scenes, with the implementation of Plan Jericho to transform the service into a fifth-generation, networked air force underway to improve, among other things, C2 and air-to-ground/ground-to-air communications. However, the DWP and IIP have provided more confirmation on a number of other RAAF acquisitions: seven more Boeing P-8A Poseidon Maritime Patrol Aircraft (MPA) will be acquired in two tranches, adding to the eight P-8As already on order. These aircraft will replace the RAAF’s Lockheed-Martin AP-3C Orion MPA with deliveries starting from 2017. The P-8As will be complemented in service by the Northrop-Grumman MQ-4C Triton High-Altitude Long-Endurance Unmanned Aerial Vehicle. Seven of these will be acquired and, in addition to maritime patrol, they will also perform reconnaissance missions. The RAAF will also acquire three more Gulfstream G550s converted to Electronic Intelligence (ELINT) gathering aircraft. These will add to two aircraft acquired in 2015 to enhance ELINT gathering for naval, air and land operations. Longer term plans for the RAAF include possibly two more Airbus Defence and Space KC-30A tankers, bringing the fleet to nine aircraft. Two former commercial A330s are currently being converted to this effect for the RAAF, with the DWP confirming one will be in configured for dignitary transportation. Given Australia’s status as a maritime nation very dependent on seaborne trade with its neighbours and the need to protect its northern approaches, the increased maritime focus of the DWP comes as little surprise. 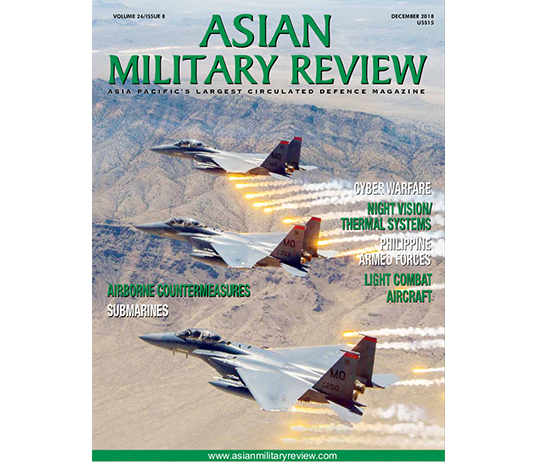 As Dr. Tim Huxley, executive director of the International Institute of Strategic Studies for Asia, told AMR, “The main threats to Australia will come by air and sea, and the emphasis on developing air and maritime capabilities makes good sense.” Dr. Huxley noted that the additional P-8As and the acquisition of the MQ-4Cs “highlights the importance of regional maritime domain awareness for Australia’s security” and he adds that these “will provide a significantly expanded MPA capability for Australia.” That being said, the DWP also shows that Australia’s land forces are not being neglected, with significant plans to improve the army’s warfighting capabilities. Assuming funding plans are realised, the ADF is well on track to maintaining regional superiority in the decades to come.